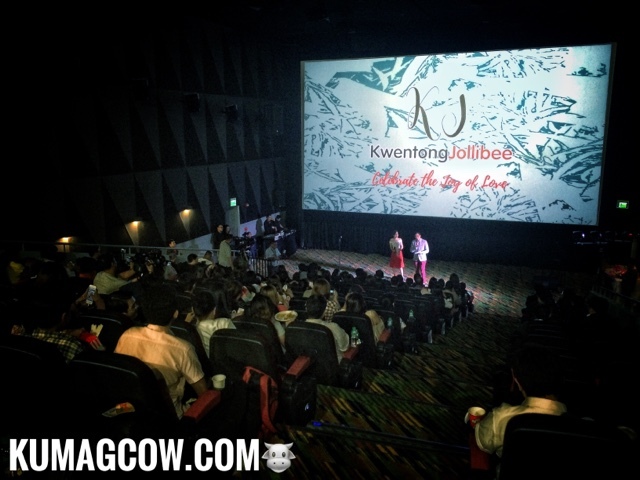 Last night, well loved Filipino brand JOLLIBEE had some media people and bloggers in Ayala the 30th to watch #KwentongJollibee. It's some online short stories depicting Filipino life which they also released same time last year. It's material that is only released online and they've already garnered millions of views because it truly touched the lives of Filipinos here and around the world. This year, they have 3 offerings called VOW, DATE and CRUSH. 3 kinds of LOVE that would be able to connect us as people, and just about anyone who have had a relationship. Be it family, or romance, they got that taken cared of. The story of VOW actually happened to me. I could also add another volume to that story, anyway you should watch it on February 9 5PM for the VOW, February 10 5PM for DATE and February 11 3PM for CRUSH at their Facebook page and Jollibee social media channels. I'm sure some of you will be moved to tears, some of you will really relate. Like I did.